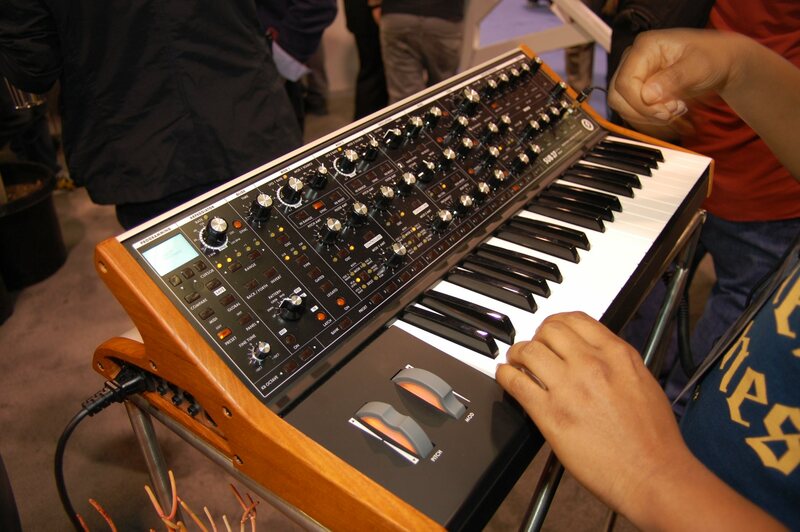 In two instruments, we’ve seen the latest future of Moog. One looks like the future, white and flying-saucer-like, a 70s retro-scifi egg/baguette with an equally futuristic sound. The other expands on the latest Moog synthesis ideas to create a vast timbral galaxy that we’ll hear more in the future. Moog’s Theremini gestural instrument and Sub37 synthesizer made their debut, and we’ve talked to engineering to learn what they mean. You might not knowing it looking at one of them, but the latest stuff from Moog charts new sonic territory by building on recent successes. Those first departures for the North Carolina electronic instrument builder are opening up new possibilities. 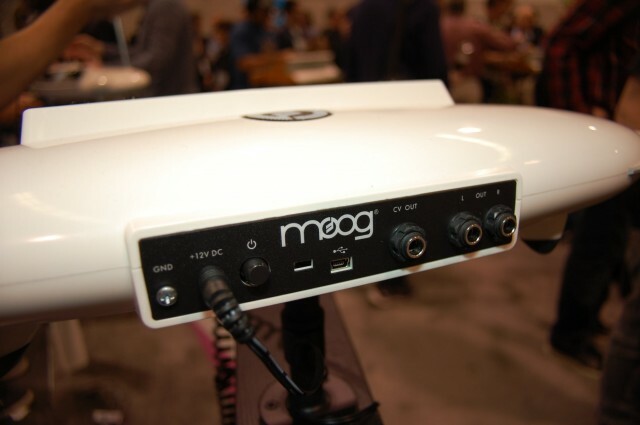 And, yes, that can even mean seeing a Moog Theremin that’s gone digital – in a very cool way. Photo courtesy Moog Music for CDM. The Theremin was the first major electronic musical instrument, so it seems ready for some new ideas. That led Moog to the perhaps-unexpected notion of taking the sound engine from the (iOS-only) Animoog synth and building it into hardware. 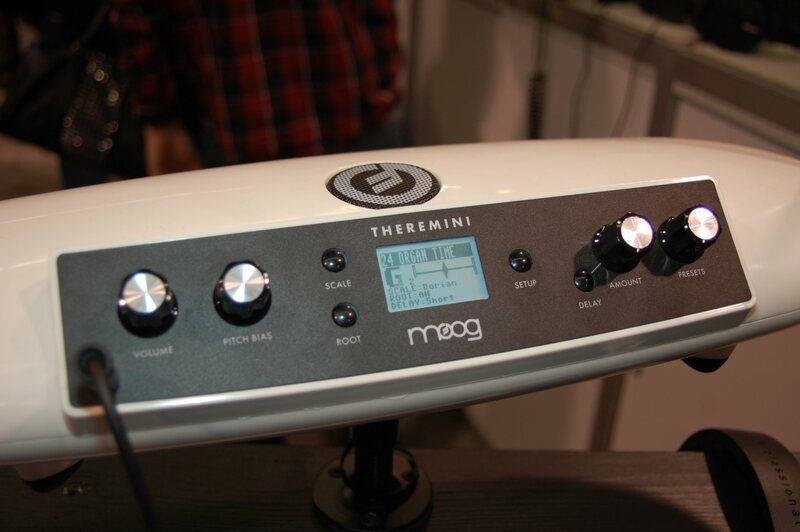 It also addresses the major limitation of the traditional Theremin – they’re freakin’ hard to play. 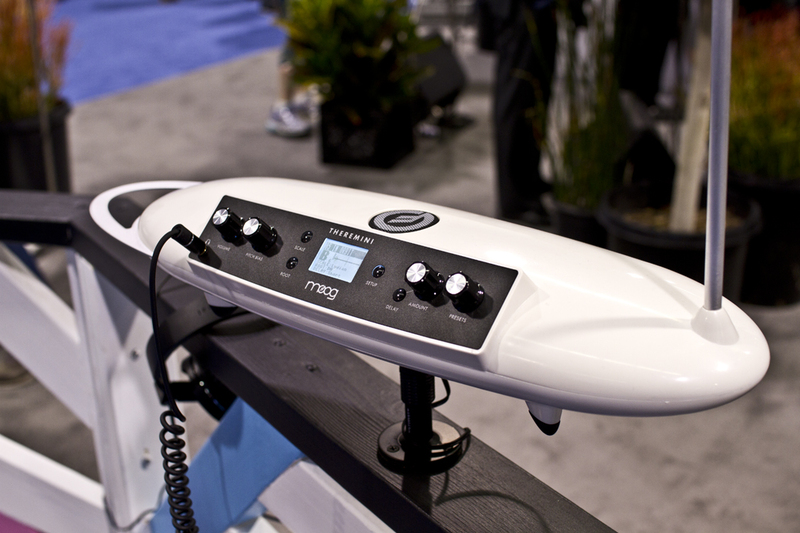 You can play the Theremini like a traditional Theremin, with complete control of pitch, or map it entirely to (flexible) scales, or anything in between. At US$319, this thing looks like a steal, a real play for a wide base of musician consumers who might never before have bought Moog – and it’s something you might really treat like an instrument in a way you might not an iPad. The engines cannae take much more ah this, Cap’n” – she’s gonna blow! We wanted to expand the sonic palette of this particular theremin in a way that allowed for a rich Moog-inspired vocabulary and also offered inherent movement in the sound (if desired). Movement gives a broad, very natural range of experience. This was one of the fundamental inspirations of the Anisotropic Synth Engine (ASE) that we developed for the Animoog. 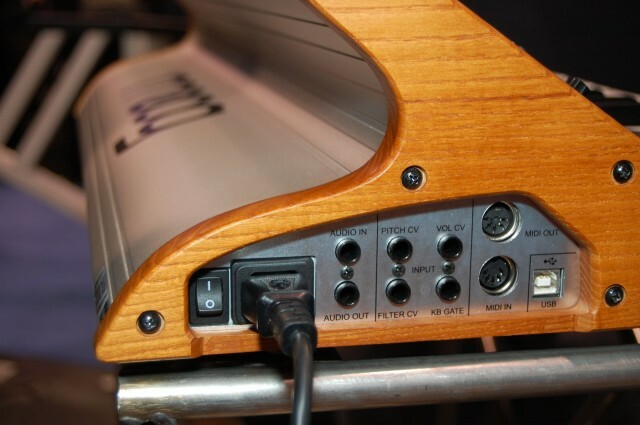 We felt it would be appropriate and fun to give the Theremini a similar range of sounds and space. 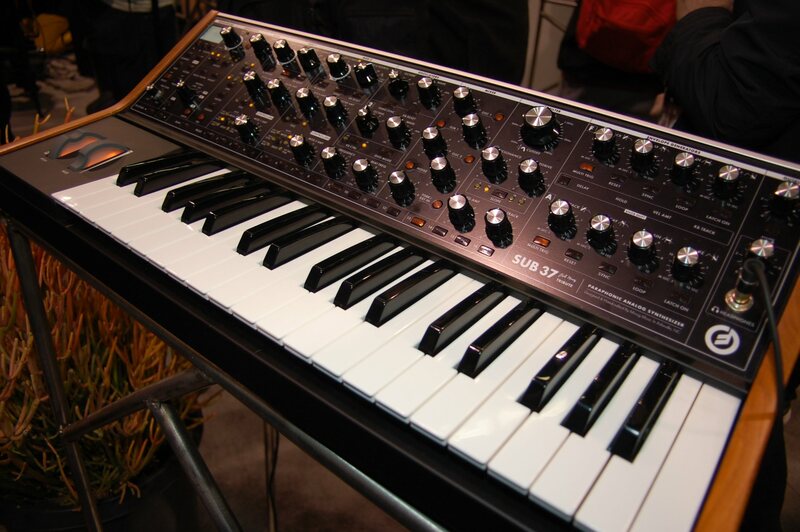 I loved the Sub Phatty; it demonstrated that Moog could loosen its tie and get a little wild with modulation on a flagship synth, it saw a return to still more hands-on control, and it showed potential for where timbre on Moog synths could grow. Now, the Sub37 is a sort of Sub Phatty XXL, expanding options with still more controls and potential. The first Sub37 will be a US$1,579 limited edition, benefiting music students in Moog’s hometown of Asheville, and with some extra touches (Bob Moog’s signature, wooden endcaps). And yes, you can play this as a monophonic instrument or use its Duo-Paraphonic mode to play two notes at once. Classic Moog Ladder Filter with resonance, MultiDrive, and selectable filter slopes. The Sub Phatty taught us that digital modulation of the classic Moog circuits could sound amazingly good. That was our first synth to feature looping envelopes and a mod bus with multiple simultaneous mod destinations. Our first goal with the sub37 was to bring all that functionality to the panel for immediate access. Once we got started, it became clear that this instrument had even more untapped sonic potential. What if you could modulate any parameter? Then a single mod bus wasn’t enough, we had to add a second. Many customers had asked us for an arpeggiator with panel controls, or a step sequencer. What if we could give people everything they had asked for, all in one integrated package? 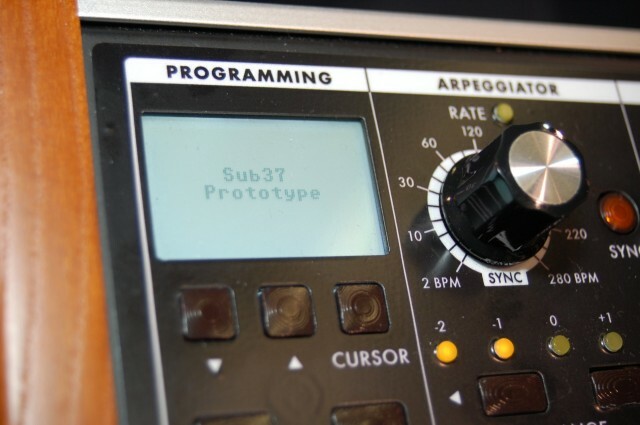 The sub 37 brings together all of the features that we most wanted to play with ourselves, as a sort of a dream instrument designed for synth fans, by synth fans. We knew that if we made an instrument that was so exciting for us that we couldn’t keep our hands off it, that our customers would feel the same way. Sonic State got a hands-on with the prototype just before the show, and tellingly, this is perhaps the most-popular video out of the show so far. We look forward to seeing more of these in the near future. Photos by James Grahame of MeeBlip.